Our M18 FUEL™ 1/2" Hammer Drill is the industry's most powerful brushless battery powered drill, delivering up to 60% more power. Its cordless body is up to 1.5 shorter and up to 2-times faster under heavy load than other models. The all-metal ratcheting chuck is the best-in-class giving users increased bit grip strength and corrosion resistance. The POWERSTATE™ Brushless Motor was purposely built for the brushless drill to provide Up To 60% more power than the competitive set. Built-in REDLINK PLUS™ Intelligence ensures optimal tool performance and provides overload protection to prevent damage to the tool and battery during heavy applications while still maintaining compatibility across the entire M18™ system. The REDLITHIUM™ High Output™ HD12.0 Battery Pack delivers more work per charge and more work over the life of the pack than competitors. 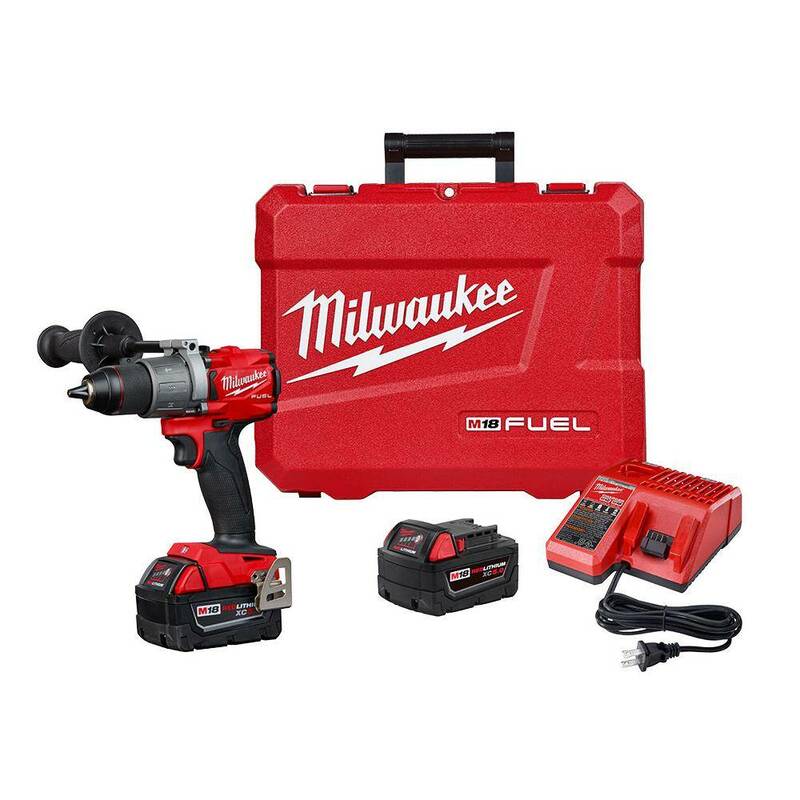 In addition to the drill, this kit comes with two M18 REDLITHIUM XC 5.0 battery packs (48-11-1850), one M18/M12 multi-voltage rapid charger (48-59-1812), a side handle, belt clip, belt holder, and a durable carrying case.